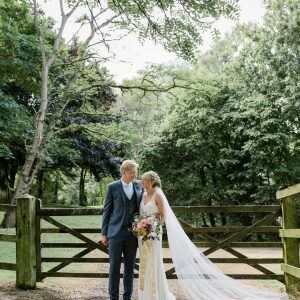 Today’s wedding comes from Essex, but we’re not talking TOWIE here, this wedding is all about country glamour and a zillion DIY projects! The colour and theme of the day comes from the bridesmaids dresses and is carried out throughout the wedding, with lots of floral patterns and shades of turquoise, lilac and pink. 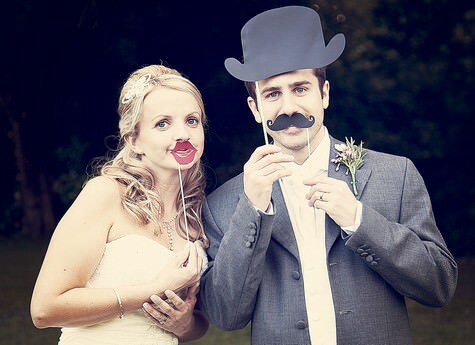 The wedding was sent into me by Lynette at Blinc Pics Weddings and the lovely couple are Sarah and Alexander, who were married on 11th June at St Marys Church in Burnham on Crouch, followed by the reception in Sarah’s parents garden half a mile up the road also in Burnham. 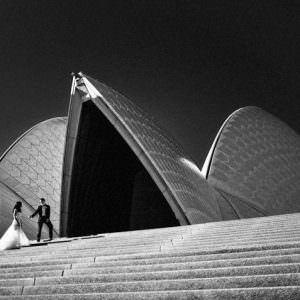 They had 12o guests and it took 16 months to plan the wedding. The Proposal…. Valentines Day 2010. I had been disappointed at the lack of proposal over xmas, new year and my birthday and as I hate Valentines Day I never expected a proposal!! Alex had asked both my parents a month or so before (he could never get my dad on his own!!) and my Mum had been looking after the ring for 3 weeks in her wardrobe. I’m really close to my Mum and we spend a lot of time together so I am still gobsmacked she managed to keep the whole thing quiet! I hadn’t wanted to go out for dinner that night at all, I work for the ambulance service and had done a 10 hour shift, getting up at 5.20am so I was a tad grumpy. Alex said if I hadn’t cheered up he wasn’t going to ask! We went to a traditional Italian restaurant called Il Camino in Maldon , Essex. Just after the main course I realised that our song had come on over the speakers and I said to Alex ‘that’s weird they’re playing this in here’ and suddenly he gave me a present. We had agreed no gifts to save money, but this was a book called ‘Marry Me’ by John Updike. I love reading and didn’t want to be too presumptuous so I said my thanks, and Alex’s comment was something like ‘So? Will you marry me? 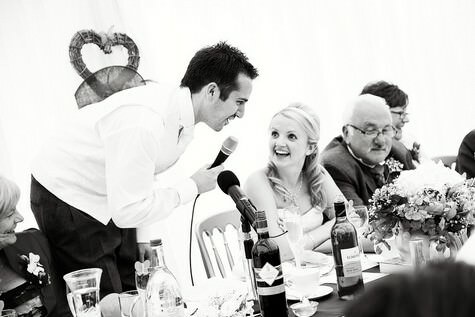 ?’ The first thing I said was ‘Have you asked my Dad’ and when he said he had then I said yes!!! 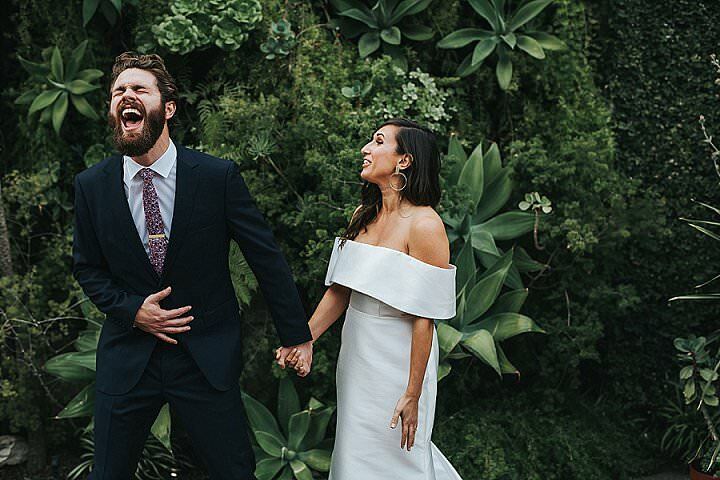 I cried, then rang all my best friends! We went straight to my parents from the meal who already had champagne on ice for us! We didn’t really have anything in mind at first, I just knew I wanted it to be in my parents garden where I had lived from the age of 4 to 26. I choose Lynette from Blinc Pics photography because she was my MOH’s photographer a few years ago and I loved the style of her pictures. I loved the style and her photos are amazing. And she blends into the background so half the time you wouldn’t have known she was there! 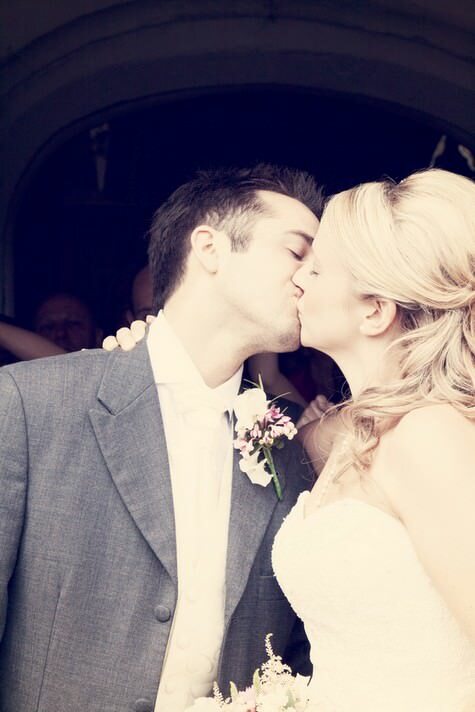 I bought my dress at Bellissima weddings in South Woodham Ferrers The first day I walked in there it was so overwhelming! They are absolutely lovely in there and it is no surprise why they have won so many awards over the years. I had my heart set on a Benjamin Roberts design which I tried first, and did love. The shop advised me to try on one of each type of dress, and although I hated the ruched ones on the hanger, that ended up being the one!!! I’d gone in wanting a vintage, lacey old fashioned design and got a princess one! It was by Ellis Bridals and was called Princess Royale. ( I had a sweetheart neckline added though). My Mum and I joined weight watchers 9 months before the big day, and we both got to our goal weights a few weeks before the wedding. I am so pleased I did that, my waist looked tiny and I was finally back to my pre-shift work weight, and my Mum looked amazing. My head piece I got from a company I met at the National Wedding Show at the NEC called Tiara-Belle, and it was a bargain at £40 compared to the ones in the bridal shop! Shoes were a bit harder to find, I absolutely hate traditional kitten heel type bridal shoes. I fell in love with a boot style by Rachel Simpson, but eventually found a pair by Rainbow Couture, which I intend to have dyed a navy blue colour so I can wear them again with looking too bridey! Groom’s attire… We went to Moss bros for the mens suits. We had the Lingfield design I think, in a grey colour. 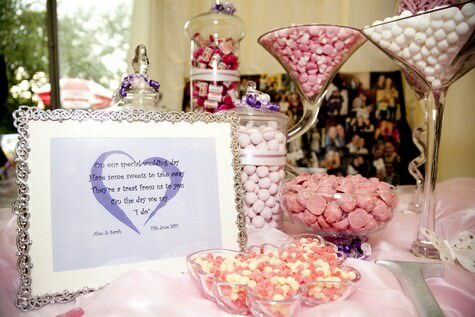 Our colour scheme was a mixture of lilacs, pinks and turquoise. 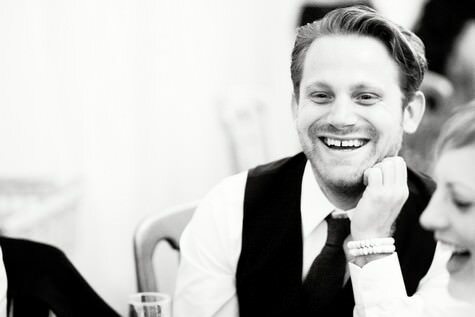 Alex wore an ivory waistcoat and cravat, while the ushers and dads were in lilac waistcoats and cravats with the dads having a slightly darker shade. 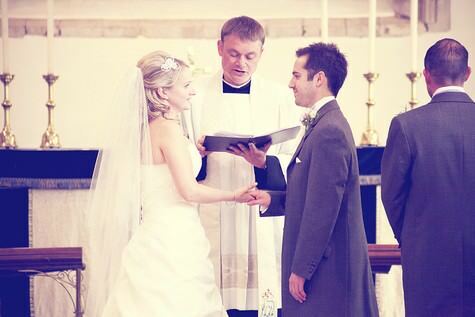 We had 3 ushers…. 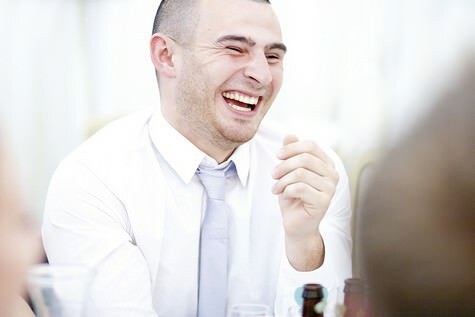 My brother, Alex’s brother and my MOH’s husband who has taken Alex under his wing since he moved to Essex. 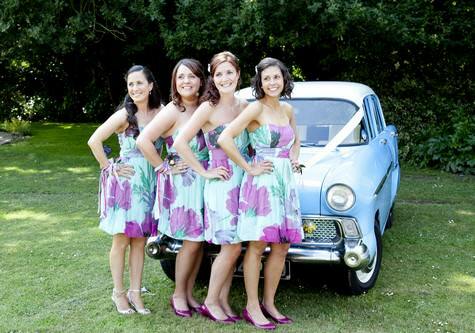 Beautiful bridesmaids….. 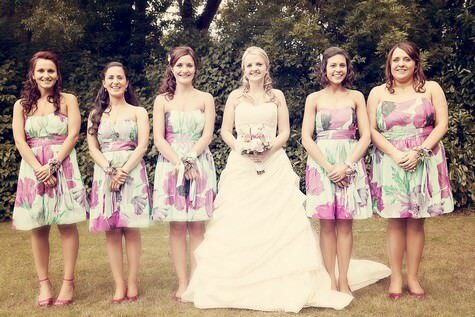 The whole colour scheme revolved around the bridesmaid dressed!! We went to Lakeside shopping centre with the intention of getting lilac dresses, but fell in love with the poppy floral dresses in the pictures from coast. 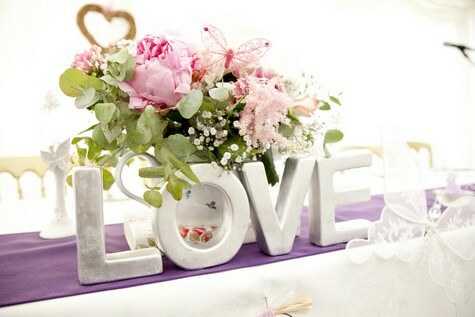 That set the colours to turquoise, lilac and pink with the floral theme throughout the wedding. I loved that they were very relaxed dresses, perfect for a garden party style day. Tiara belles designed hair pieces for the bm’s that she had never made before. They were a miniature version of my headpiece but on a comb, I trusted her entirely to make them and they looked perfect. Each bm had their hair a different way… I gave them free reign to choose whatever they wanted mainly because they all have different face shapes/hair type. It was more important to me that the felt comfortable and the hairdresser did an amazing job they were all really happy. Their shoes I bought from Marks & Spencers for a bargain £15 each. They were simple dusky pink courts with a small heel…. Which were very comfortable and wouldn’t sink into the grass! I bought the bridesmaids a necklace each as a gift, which were similar to my own. They were silver with a pearl and a simple Swarovski butterfly. 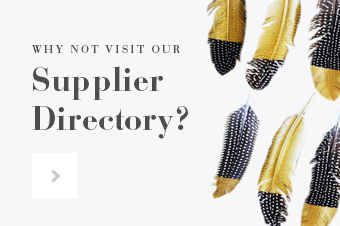 I found them at a wedding show at the excel, and they were all hand made by the lady who owned the company. I also made each of the bridesmaids a little box with a few keepsakes in it. We put flower seeds in (Love in a mist) so the green fingered can have a floral reminder of us every year, also a scented candle and a personalised fridge magnet. 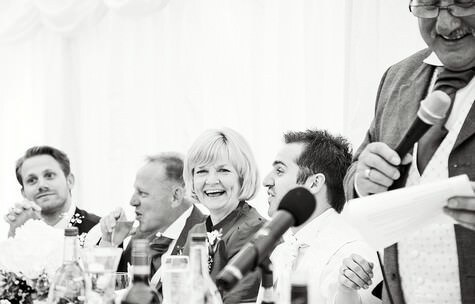 We had a sit down 3 course meal as our wedding breakfast… cheese and onion tartlets, Beef Wellington for main and a trio of desserts for pudding including cheesecake, profiterole and chocolate torte. For the evening guests we had a hog roast. 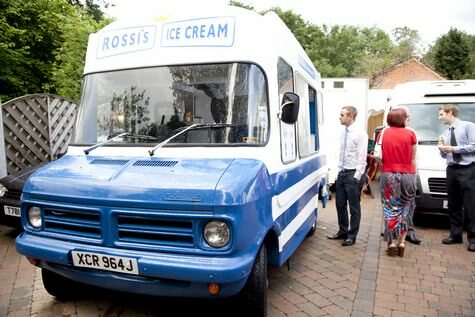 Also, an ice cream can turned up serving Rossi’s cornets from 8 until 9 which went down very well!! 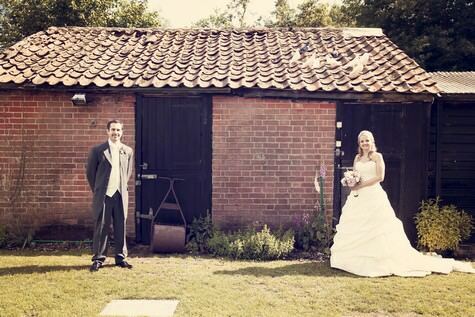 The Flowers… I found my florist through the Essex wedding magazine website. Everything she did was perfect and actually the corsages she made for the bridesmaids were her favourite ones she has ever made! I found a picture in a magazine and she basically recreated them with ribbons to match the colour scheme. We did our own table centres… and when all the flowers were delivered on the thurs night I nearly had a heart attack at the amount! There were boxes and boxes, my Mums house was full! 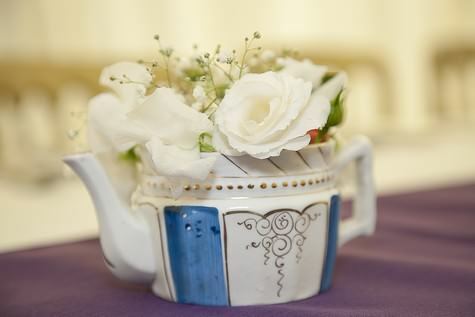 We sourced loads of vintage teapots from charity shops, and used these as table centres. It was amazing how many beautiful bits of crockery you can come across! Some teapots I will never give away they are gorgeous. The day before the wedding 2 of my bridesmaids made hand tied posies for every teapot with a mixture of Peonies, Astilbe, Bouvardia, Akito Roses, carnations, Stocks, Sweet Peas,and lisianthus. I think we had some hydrangea too. All the left over flowers we used to decorate the marquee/cake table etc. 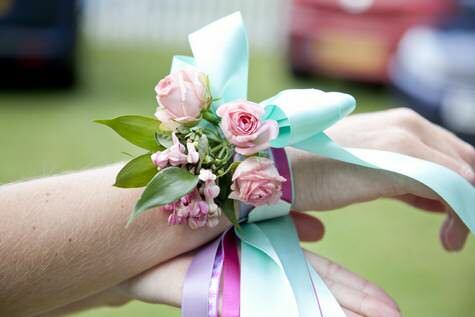 The bm’s had a corsage each on their wrist, the MOH having an extra rose. 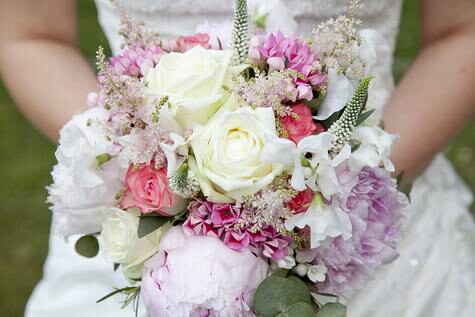 The button holes were Bouvardia and rosemary, with alex having a sweet pea aswell. My bouquet was a variety of all these, I really wanted it to look just like it had all been freshly picked and then swept into a hand tied bouquet and it really did, it was beautiful. I tied an antique necklace around the stem as my something old. It was a necklace that belonged to my Great Nan and inside had a photo of her brother who was killed in the war. We also bought about £150 worth of flowers and the flower group at the church made some beautiful pedestals to decorate the top of the aisle where we said our vows. 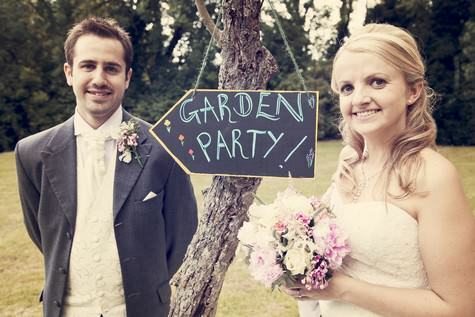 The main thing about the wedding is that it was all handmade/diy. 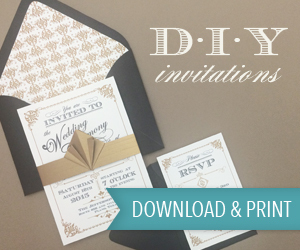 • It started with the invites which I painstakingly cut/stamped/tied and sent out maybe a tad too late but I have been told I was far too relaxed for a bride! 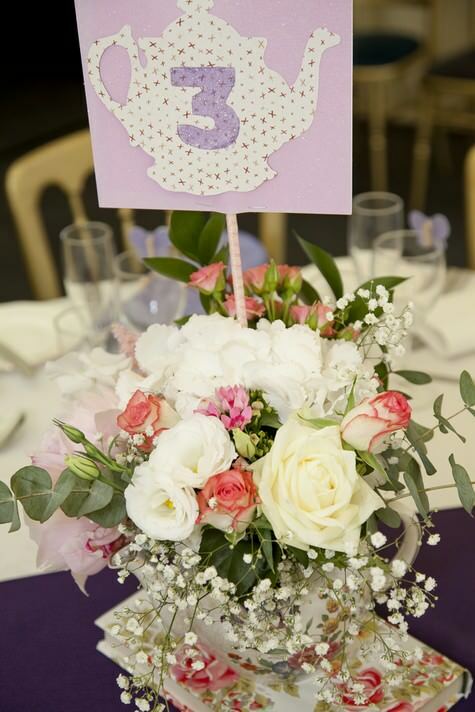 • Then we made all the table numbers…we (I say ‘we’ I mean me and my Mum!) 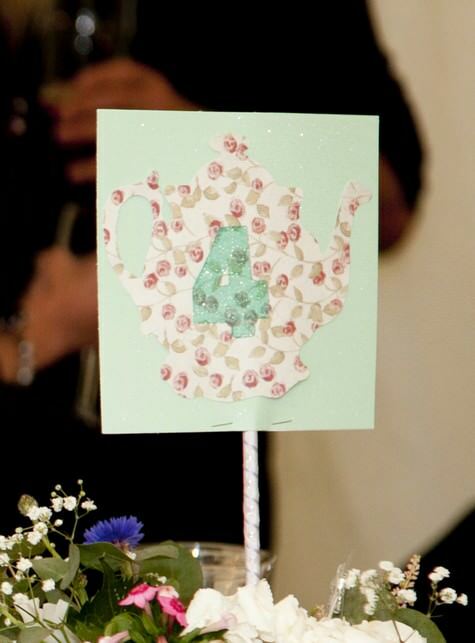 bought all different coloured cards, and on them we stuck cut out teapots from patterned scrap-booking paper… to which we glittered on the numbers. 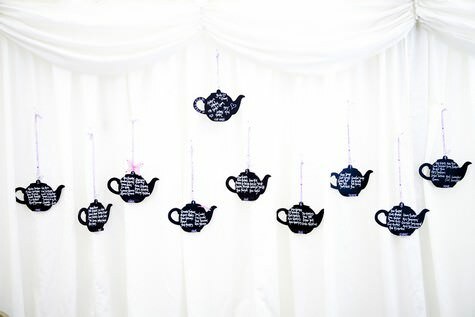 We mounted them on wooden sticks from a garden centre to which we had made more attractive by winding ribbon round. 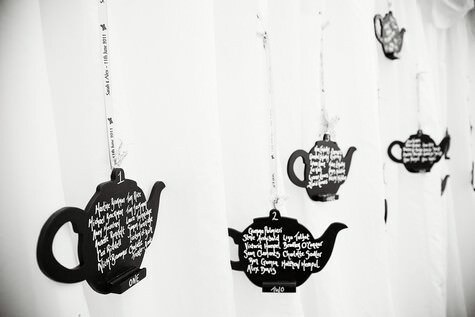 Then they balanced in the teapots/table centres themselves. We were covered in glitter for weeks!!!! • I bought some vintage style wrapping paper in John Lewis, and wrapped up hardback books and placed the table centres on these, just to raise them up a bit. • We also made all the place settings. We borrowed a butterfly punch cut out from a friend, glued the edges, dipped them in glitter, glued on mini pegs and then they attached to the wine glasses. I have a very artistic friend with gorgeous hand writing and she kindly gave up many afternoons to write on all the names of the guests!!! 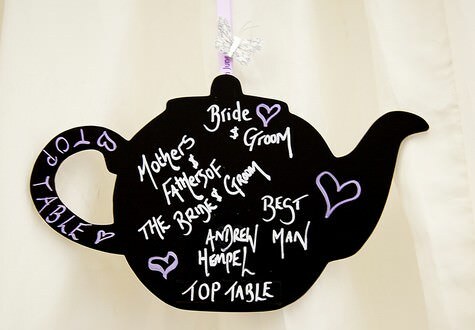 • To carry on the teapot theme I bought 10 chalkboard teapots off the internet, and used these as the table plan, 1 per table. Again my friend wrote the names on with chalk pens I had bought and we hung these along the marquee for people to look at when they arrived. • We had a bar that we stocked ourselves with Champagne, red/white/rose wine, pimms galore and then a variety of lager, bitter, cider and soft drinks. (All bought from various offers in supermarkets!!) We made bar menus out of large bits of wood to advertise what drinks were available using the chalk pens again. 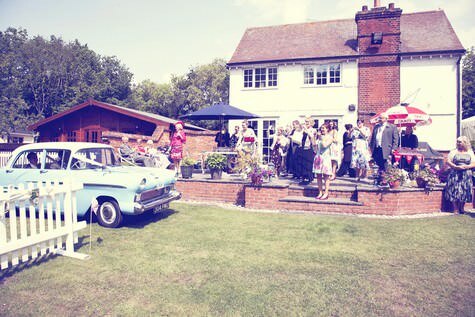 • The welcome drinks after the church were served on the lawn… Pimms and champagne. A friends Dad used to work for Pimms so kindly lent us bunting, an umbrella, jugs and lots of stirrers and we set a pimms table up on the patio of my parents house. The other table had champers on and the caterers went round with canapés. 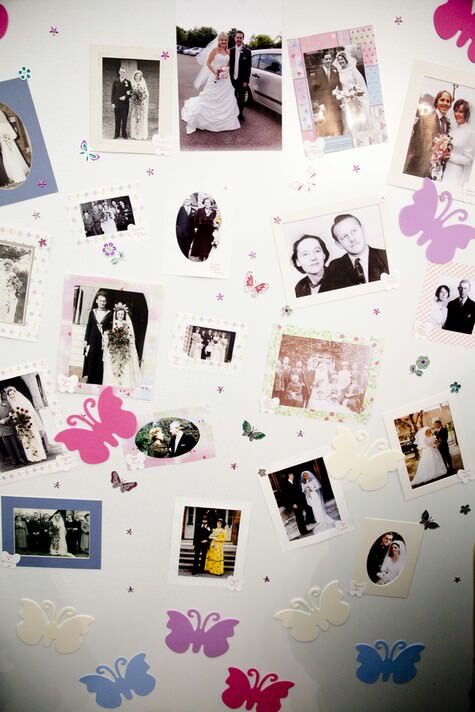 • I had a huge photo board leaning up in the marquee with photos of all our relatives wedding days mounted with borders around them and labels as to who was who. We went as far back as our great grand-parents and some of the old black and white pictures were amazing! My Dad rushed back after the service and printed off an a4 photo he took of us and stuck it pride of place at the top of the board!! 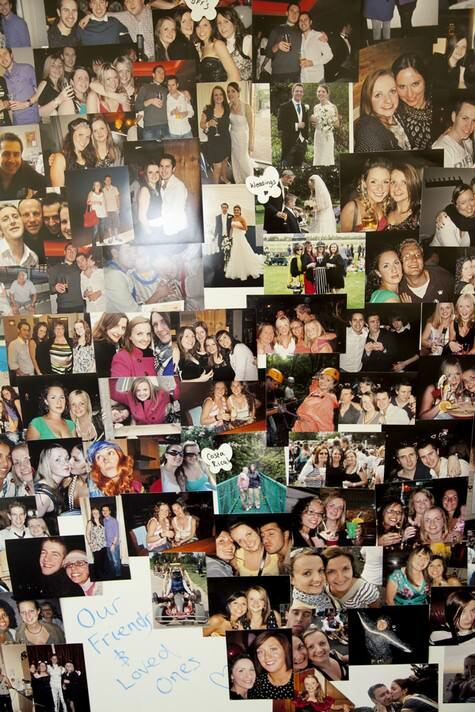 I also did a huge photoboard with all our friends and family on aswell. 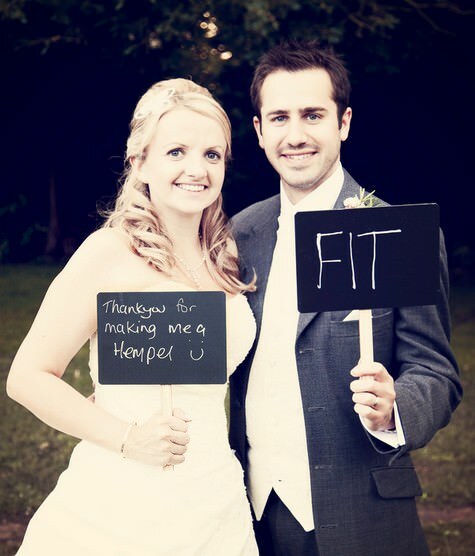 • An idea I saw in a wedding magazine was to provide flip flops for those with sore feet! I had a big basket and I made a sign saying ‘Sore feet help yourselves’ and bought 10 pairs of flip flops from Primark. They had nearly all gone by 5pm I had to hide a pair for myself!! So many people came up to me saying what an amazing idea it was. • Incorporated into the marquee was a wishing well which sits on my parents driveway. It really is gorgeous; we decorated it with hand made bunting my friend lent me, lots of butterflies and china cups with flowers. My dad made a cover for it and cut a hole in it and we used it as our post box for cards. On it we also put our guest book and a scrap book my best friends made me and a photo frame from Alex’s sister showing us both through the years! 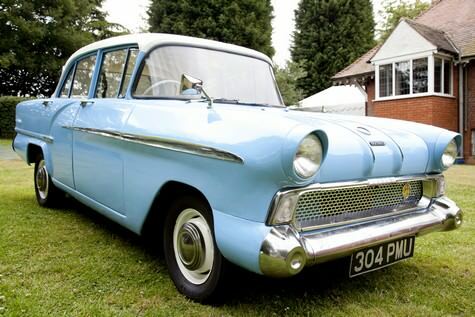 • My Dad had a really old car in the garage, a Vauxhall Victor he inherited many years ago. 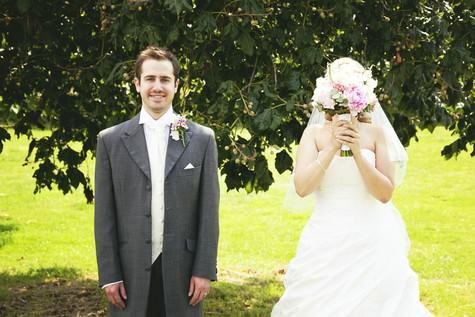 The wedding was a brilliant reason for him to finally get it looking amazing! He had it totally resprayed, and it spent months at a company who sorted the engine etc. That became our wedding car. My brother was an usher but actually became the chauffeur for the day. He drove all the bm’s to the church, and then drove myself and my Dad there. We had people waving at us and all sorts! Luckily the sun shone because I was dreading trying to get into the car in the pouring rain, it had been a really temperamental week weather wise…. 1 minute pouring with rain and then sunny. It was sunny at all the right times for us, we were really really lucky. 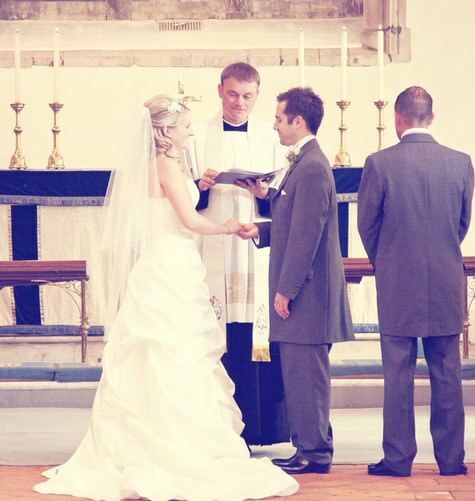 After the service, my brother returned the bridesmaids to the house while Alex and I had photos taken with the vicar and around the church and then he came back for us last and we drove onto the garden in front of everyone it was like being a celebrity! 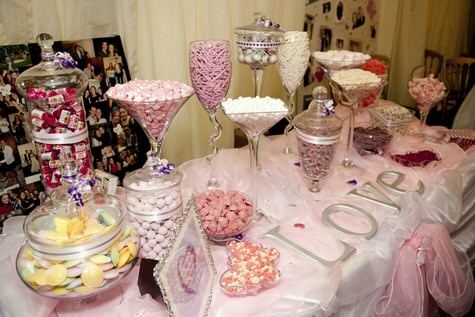 • Instead of favours we had a company provide us with a candy buffet. They set up about 7pm and I had people coming up to me saying ‘What is going on over there??’. People were in queues to stock up their bags which we had chosen as pink and white stripes with our names on. To match the candy theme we had candy necklaces as serviette rings for the meal! • The marquee company provided us with picket fencing aswell to make the garden look nice and quaint. 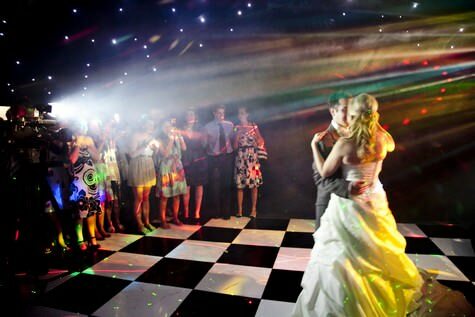 They also put in a black and white dance floor and we had a blacked out ceiling with fairy lights. It was like being in a nightclub! • Because of the teapot theme running through the day, I bought my Mum a Pandora teapot charm for her bracelet, and my Mother-in-Law a Links of London charm for her bracelet. A permanent reminder! The Dads were bought alcohol and cufflinks, and the ushers some of their fave aftershaves. We bought the best man some Tottenham Hotspur cufflinks which he wore on the day. • The Cake… The cake was amazing!!! I was really against spending a lot on a cake initially, but we fell in love with a cake at the national wedding show by Cakes for all UK. We paid the deposit there and then. 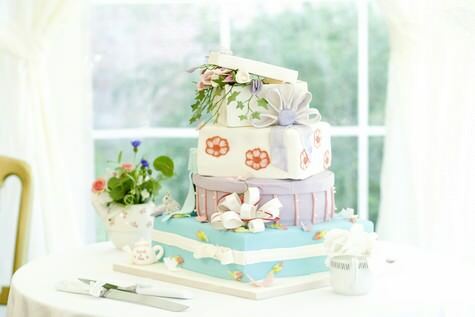 They were able to recreate the cake in our colours, and she also made a sugar box for the top, with all the flowers from our table centres all made out of sugar icing. They also made a sugar teapot with our names written on it, and decorated it with butterflies and made a mini rabbit out of icing that looked like our house bunny. My bridesmaid cried when she saw it! The bottom tier was chocolate brownie, the middle was Victoria sponge and the top lemon drizzle. We loved the cake so much we drove from deepest Essex all the way to Banbury for a taste session, about 2 hours! 1.) 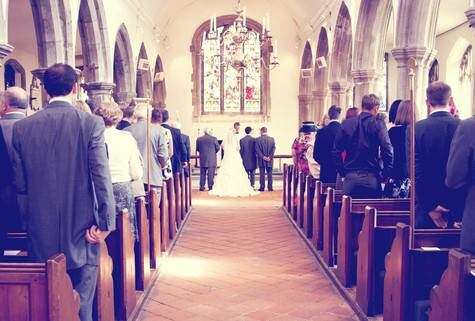 Walking into the church on my Dads arm, seeing all our loved ones there for us. It was really overwhelming and I nearly cried my eyes out! The whole service was amazing though I never wanted it to end. 2.) Arriving back at the house and feeling like a celebrity! 3.) 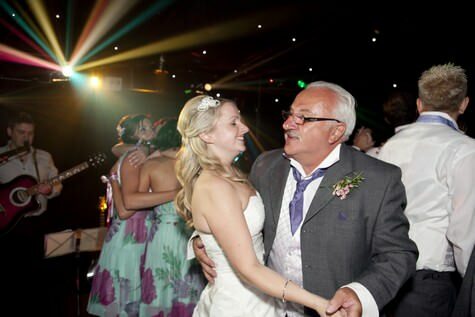 First dance, with Alex… but also then dancing with my Dad and the first song the band played was ‘Perfect Day’ and my Dad was singing in my ear and it just made me bawl it! 4.) Realising throughout the whole planning process and day itself that I have the best friends in the world. 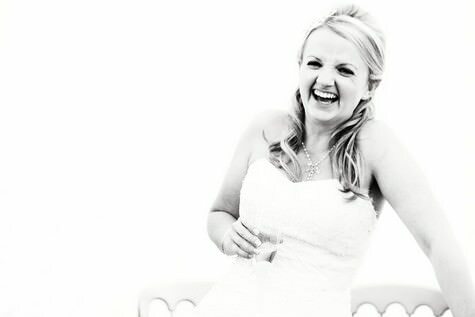 My MOH was invaluable, organise an absolutely amazing hen do and I am really lucky. Advice for other couples… to make sure you appreciate and take in every part of the day. Take time out away from the crowd with your husband/wife even just for 10 minutes. 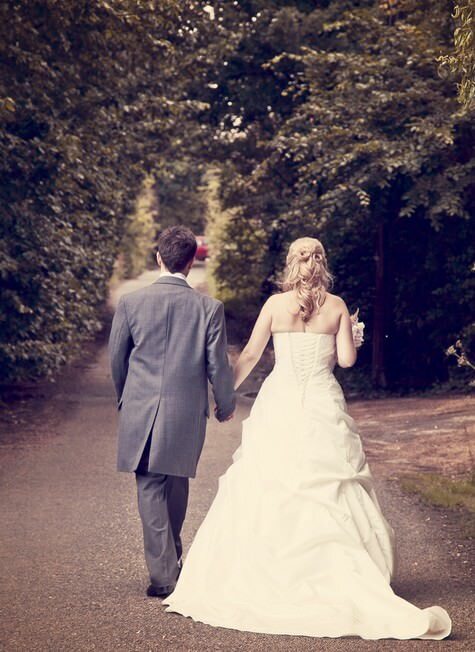 We did this with the photographer and had some lovely pictures. Every few hours I made sure I stepped back and just took in everything going on, that all the hard work was worth it as everyone had a fabulous day. 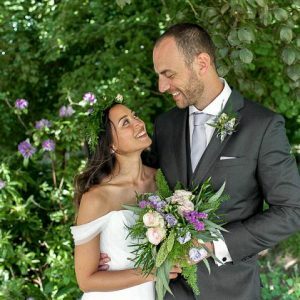 Countless people have told me it was the best wedding they have ever been to, and my BM told me off for having her dream wedding!! 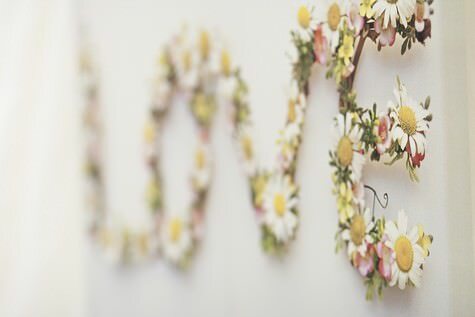 Just love all d wedding details,its amazing.kudos!! !.